While these lovely ladies would not have a problem being let in at the Stewards' Enclosure (I believe the length of their dresses is correct), I would recommend smaller hats. The poor chaps sitting behind these ladies will not be able to see the races on the river. Photo: Hélène Rémond. Four weeks from now, the Henley Royal Regatta will begin, on 29 June. At several occasion HTBS has had entries about how important it is to be dressed the right way to have access to the 'inner circle', the Stewards' Enclosure. The non-active website The World of Rabbit gives entertaining accounts of the dress code for those who would like to 'dress right' - click here to read it. 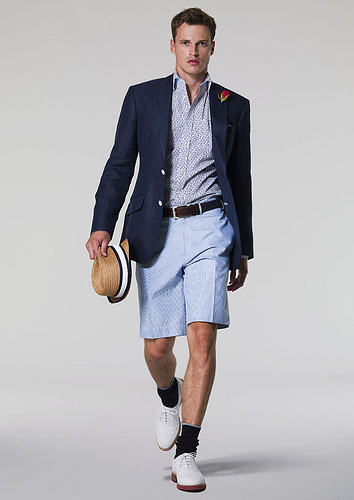 The Daily Telegraph have had pieces how to dress the traditional way at different social summer events, including the Henley Royal. Click here to read one of those articles. Also certain 'fashion blogs' will give you advice, like for example Girl Meets Dress (just so you know, I had to google that one, as it's not one of my usual reads). If you think that just because they let you in at the Royal Ascot in a particular dress, that you would have access to the Stewards' Enclosure in the same dress, think again, ladies! Of course, also men can feel lost of what to wear at Henley, but stick to The World of Rabbit otherwise, you will end up with a blog like the famous Jeremy Hackett - The Mr Classic Blog. 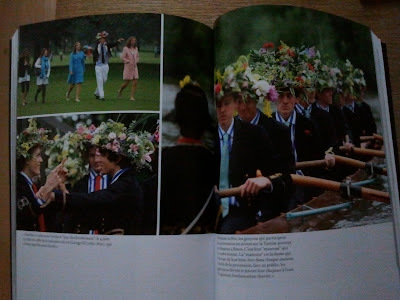 Hackett claims in this entry that the Henley Royal is one of his favourite summer events to attend, "there are few [social events that I] enjoy more than the Henley Royal Regatta", but he fails to show a properly dressed gentlemen in a photograph that would be let in at the Stewards' Enclosure. Good example on the right how to dress wrong. A new photo magazine called 6 Mois (‘6 Months’) has been launched in France by publisher Les Arènes. It focuses on current news’ photography. It is a 350-page, 880-photo magazine printed on quality paper – and with no advertising! It is listed as a book and cost 25€. In the first issue, there is a report by Christopher Furlong, who spent a few weeks at Eton College, home of ‘the English elite’. Whereas the school boys have a reputation of being pretentious and arrogant, it is not the case, he says. Furlong was surprised by their enthusiasm. Some of the photos have been shot during the celebration of the birthday of King George III (1738-1820), Eton’s greatest patron, on June 4th. A previous post on HTBS (11 May, 2010) explains well the history of this celebration! Thank you, Hélène, and good luck to 6 Mois! 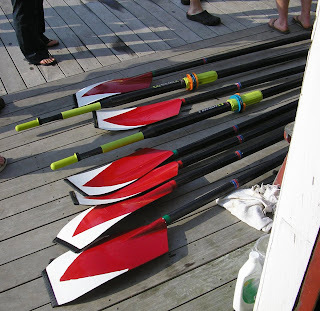 As HTBS reported on Saturday, the Crimson crews took some fairly easy wins by overpowering the Bulldogs on the Thames River, New London, yesterday. 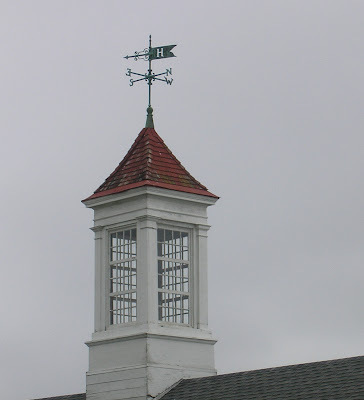 HTBS was stationed at Harvard's boat house, Red Top. Below you will find what the media says about the races. Harvard Crew's website: "Crimson notches fourth straight sweep in 146th Harvard-Yale Regatta"
Yale Crew's website: "Bulldogs Fall to Crimson on Thames"
The Day: "Regatta event spotlights proposed park sale"
"Harvard wins... with the greatest of ease"
Norwich Bulletin: "Harvard blazes to win on Thames River"
Boston Globe: "Crimson Crews better by a wide margin"
No, Yale did not managed to upset Harvard in any of the three races on the Thames in New London, Conn, today - Harvard took it all. And with ease, too, one might add. The fog was thick this morning along the Connecticut shoreline and up on the Thames River (the American way to pronounce the river's name rhymes with the name 'James'). For the freshmen's 2-mile race upstream at 3:00 p.m., the fog had burnt off, but it was windy and the waves had started to build up, and there were plenty of grey clouds. However, Harvard's freshmen did not have any problems at all to take the lead and win. For the Second varsity 3-mile race, the wind had calmed down. Harvard was soon in the lead, but around the 1-mile mark, when Crimson had a comfortable lead by almost a boat length, No. 3 in the Harvard boat caught a crab that made it possible for the Bulldogs to go up a couple of seats. However, Yale was never able to get closer than that, and soon Harvard had worked up a length again. At the end it was an easy victory for Harvard. When the two Varsity boats started at 4:45 p.m. under the Golden Star Memorial Bridge for their 4-mile race, the waves were almost gone, and the sun tried to peek through the clouds. Both crews got a clean start, but it was Harvard that had a canvas lead early in the race. However, even when Harvard had almost a length's lead, they did not manage to shake off Yale who were there with their bow, close to Harvard's stern. At Red Top, Harvard's boat house, more and more people gathered on the dock to be able to see the boats when they were approaching the finish line. Across the river, close to the finish line, the famous 'rock' was painted red with a big white 'H' on it. From my little portable radio I could hear Andy Card and his co-commentator Tom Tiffany giving their experts commentates mixed in with jokes. When we finally could see the crews across the water, Harvard were several lengths ahead of Yale. The spectators at Red Top could breathe more freely. When the crew landed at the boat house, they were met with applauds and cheers, and the sun started to shine. I managed to chat briefly with their coach, Harry Parker, who is in his 49th season with Harvard's Varsity crew. When I asked him if he had been worried when he heard that Steve Gladstone had taken on the job as Yale's head coach last autumn, Parker smiled and said: "Yes, we were worried as Steve is a very good coach." He continued, "Steve is a worthy competitor". Now, I smiled and said: "So, what do you think Steve Gladstone is going to do now?" "He will probably take in this race," Parker answered. "And work hard to try to get the best oarsmen to his program." "Do you have some good rowers that now can move up to the Varsity boat?" I said. Without any hesitation, Parker answered: "Yes, without doubt, as we saw today, we have some very good guys that can move up to the Varsity boat. They have been motivated all year long." I congratulated Harry Parker to the three victories today, before he got ready to meet his fine crew. 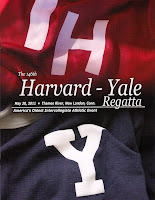 More about the Harvard-Yale Regatta tomorrow! The big question today, at least on this side of the pond, is if Steve Gladstone's Yale will managed to beat Harry Parker's Harvard on the Thames River in New London, Conn. The first race is at 3:00, and the varsity race is at 4:45. For those who cannot make it, there will be a live broadcast of the races on WKNL Kool 101 (100.9 FM) and www.kool101fm.com. 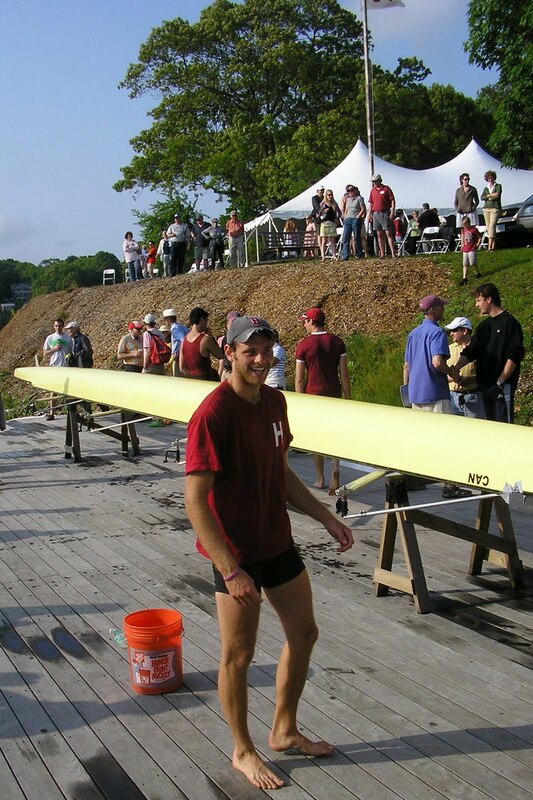 Charlie Hamlin (Harvard '70) and Yale lightweight coach Andy Card will provide commentary. Read what the Boston Globe is writing about today's race, here. Read what the New Haven Register is saying about the race, here. 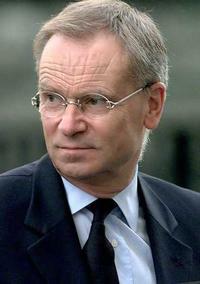 Philippe Romé, Swedish Champion. Photo Courtesy Peter Petersson. I discovered my fellow countryman Philippe Romé thanks to a HTBS post about the Swedish Rowing Sprint Championships held in Malmö. I thought it would be a nice opportunity to talk about rowing, so I contacted this French rower, who is a Swedish rowing champion. Philippe actually comes from Redon, in Brittany, which is close to my hometown. It was also an opportunity to put him in the spotlight in a way. Just like his father, he used to row in Rennes, at the Société des Régates Rennaises, the oldest sporting club in the city, founded in 1867. Philippe has now lived in Sweden for three years, after living with his Swedish girlfriend during four years, before the birth of their first child. He works as a “sportchef’, and coach at Mölndal Rowing Club, in the suburbs of Göteborg, on the Swedish west coast. He trains adults, young teenagers, and school children on all levels. He also organizes special events for companies, for ‘teambuilding’, "which is a popular concept in Sweden," Philippe says. 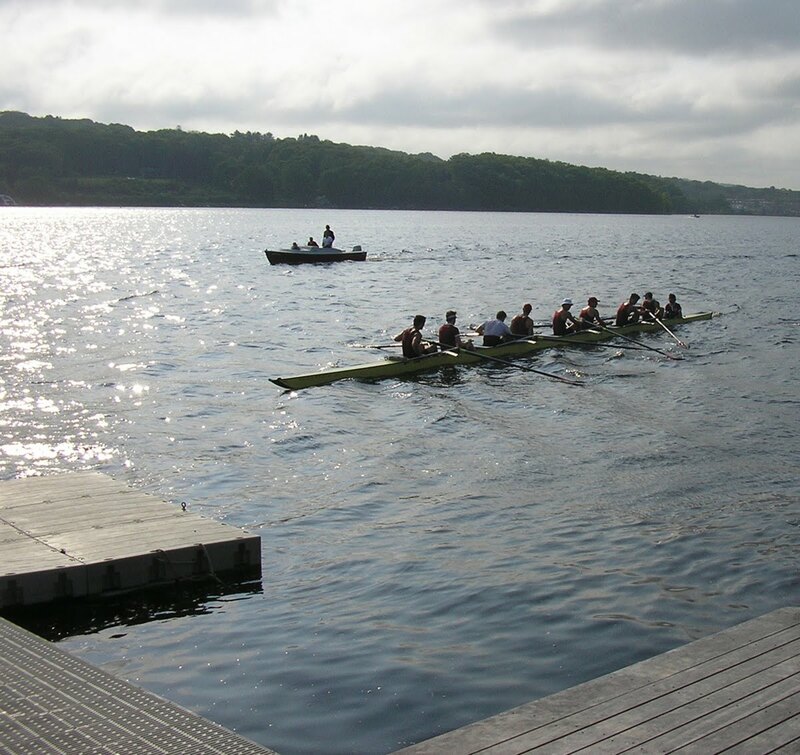 An annual regatta is also organized, as well as the Swedish Championships every third year. 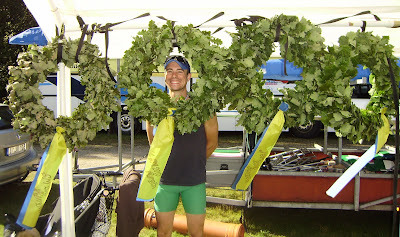 In the picture Philippe Romé is standing in front of "victory wreaths". It is an old tradition in Sweden that Swedish Champions in many sports receive a laurel wreath as a sign of their victory and superiority. He is also an unofficial rowing captain of the club. Of course, he rows, and is a national champion. 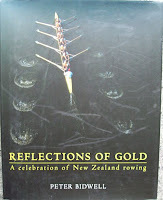 “I row in every boat, from single sculls to eights either bowside or strokeside”, he explains. He recently won in the coxless pairs at the Borås Head of the River. He tends to row a bit less now since the birth of his second daughter, in October 2010. In Sweden, he appreciates the quality of life, and the care for the well-being of everyone in the society. 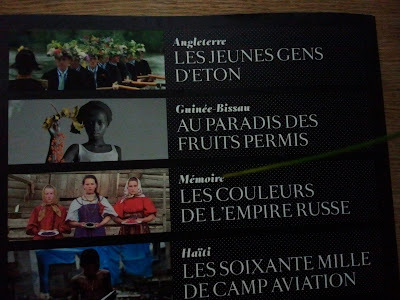 The photograph on top is signed by Peter Petersson, who is a member of Philippe’s crew in the 4- and 8+. “When Peter doesn’t row, he takes photos’, Philippe says. Have a look at Peter’s website. Hélène – thank you for an interesting article. I would also like to wish Philippe Romé good luck in Mölndal both with his family and his rowing – keep those oars wet! And, indeed, I did! Although, I have read a couple of Archer’s novels and some of his short stories, the one about ‘Dougie’s arm’ had totally escaped me. Archer and his works might not be up for the Nobel Prize for Literature, but he knows how to tell a good story, also in ‘Dougie’ Mortimer’s Right Arm’. You can read it by clicking here. Of course, what triggered my curiosity after reading Archer’s story is what in this story is based on real facts? I looked into the history of The Boat Race at the time for Archer’s story, and there was a ‘Duggie’ (Douglas Cecil Rees Stuart of Trinity Hall; on the right) stroking the Light Blues in 1906, 1907, 1908, and 1909; being victories for three years, 1906-1908. According to all experts at the time, Cambridge was supposed to have won also in 1909, but that was the year Oxford had a new stroke, Robert ‘Bob’ Bourne, who would become one of Oxford’s and The Boat Race’s legendary strokes. Duggie Stuart, who is said to have had terribly ‘ugly’ stroke – it was even named after him: ‘Stuart’s sculling style’ (and remember he was not sculling!) –, lived longer than 1914. I do not know when he died, though. This seems to be an interesting topic for a paper or an essay: compare Jeffrey Archer’s fictional ‘Dougie’ with the Cambridge oar, Duggie. See also HTBS 8 May, 2011! Thank you, Bernard, for this thrilling topic! Working with a small magazine means that I, as the editor, get a lot of other magazines landing on my desk. Although, I love magazines, I seldom have the time to read, or even go through, them all. 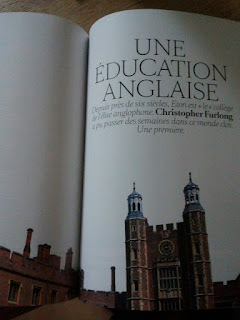 So, I really do not know why I began flipping through the pages of the latest issue of Arrive, May/June 2011. For those of you who do not know, Arrive is a publication published by AMTRAK (a blend of ‘America’ and ‘track’), which in other words is the National Railroad Passenger Corporation in the USA. 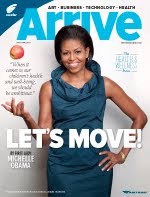 So, I started to read Arrive, maybe because of the smiling First Lady on the front cover; she caught my eyes and lured me into the magazine. And what do you know, on pages 50-55 I actually found an article about rowing on the Charles River in Boston, “River Bound”. How very exciting, I thought – at first…. Then I read the first sentence and I sort of knew that reading this article could become a trying experience for a lover of rowing: “Boston’s Charles River is home to the Harvard crew team and….” stop, stop, and stop!!! To say "crew team" is redundant (read rowing historian Bill Miller’s explanations here, especially No. 2). I continued to read the article. Just some sentences after the first one, I stopped reading again, because: “Every 15 seconds, another boater starts his 3-mile race.” Yes, I do know that “boater” can mean someone being out boating, but I cannot help thinking of my nice boater, the hat that I lost many years ago and which I wrote about the other day. The next sentence in the article reads: “I spot single and double sculls, two-, three [I say, very unlikely! ], four- and eight-oared crews, many of them elite paddlers…” No, I would not dare to say that any “elite” oarsmen and –women would be “paddlers”. You paddle in a kayak or a canoe, and if you are doing it in a shell, you are probably not rowing or sculling very seriously. Now I was feeling a little uneasy, where was this fellow, writing this piece, going to take me? On the next page was a major blunder: “Home to the 1852 Harvard-Yale [of course, a yalie would write ‘Yale-Harvard’] crew race, the first intercollegiate sporting event of any kind in America, the Charles….” – now, we all know that the first race between these universities was not on the Charles, but on Lake Winnipesaukee in New Hampshire! Let me stop here, because the article just continues the same way: “paddlers”, “racing sculls” [he means “shells”; “sculls” are the oars], “crew teams”, etc. Well, now you are warned, if you still would like to read this article, click on “River Bound”. Thank you, Bernard, for this information. I have looked around if the book is available in the USA and in Great Britain. So far, the book is available only in the ‘Kindle edition’ at Amazon. However, without really being sure, the great, great Richard Way Bookshop in Henley might have it? It's a pity, really, but nowadays, you will rarely find any articles in the New York Times about the sport of rowing, not even during and just after the Rowing World Championships and the Olympic Games. However, last Sunday, I was surprised to find an article, "Through Rowing, New Confidence", about students learning to row on the Harlem River. Nice article, read it by clicking here. “[…] but it won't be until later next week or weekend because the Potomac is flooding this weekend and I won't be visiting the boathouse. […] For the third time in two months the Potomac is above flood stage. 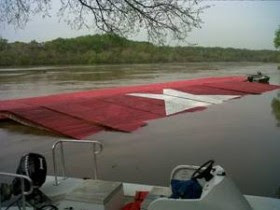 If you've been to the Potomac Boat Club, this means water is over the ramps and docks and seeping into the first-floor boat bay. These ramps normally slant down to the float and the river, but in April and again this weekend they are themselves floating. Driftwood and other debris plus fast and swirling current are all hazards. The International Rowing Federation, FISA, has just launched a new website. Have a look by clicking here. The picture above shows Wally, Lillian and one of their children in 1910. ‘WDK’ was then in strict training as he was nearing the peak of his sculling career so, presumably, the child was conceived in the winter. William Duthie Kinnear (1880-1974) was born in Laurencekirk, Scotland. 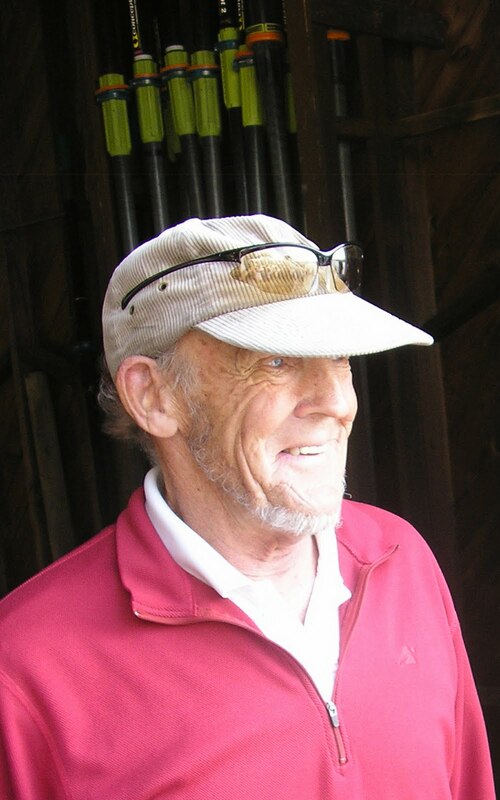 His family called him ‘Bill’ or ‘Billy’ but the rowing world was to call him ‘Wally’ or (inevitably) ‘Jock’. As a young man he went to London to make his career. In 1902 he obtained a post as a salesman for the Debenhams department store. As was common in those days of ‘jobs for life’ and paternalistic employers, the store had its own rowing club (‘Cavendish’) based at the ‘West End Amateur Rowing Association’ boathouse in Hammersmith, West London. This was home to many such clubs including one for the employees of Harrods store. Kinnear’s talent was soon obvious and he won the West End ARA Sculling Championship in 1903, 1904 and 1905. 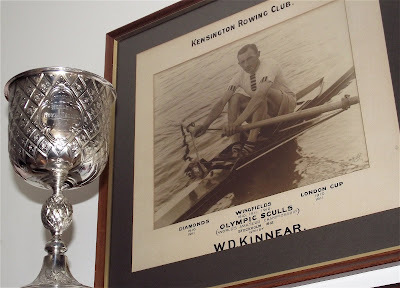 In 1905 he joined Kensington Rowing Club and was to remain a loyal member until his death 69 years later. He had many successes in regattas over the next few years but it was between 1910 and 1912 that he reached his peak. Some credit for this must go to his great friend and informal coach, Harry Blackstaffe, the 1908 Olympic Sculling Champion. 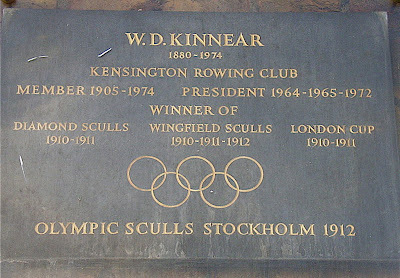 The ‘triple crown’ of sculling in those days was the ‘Diamond Sculls’ at Henley Royal Regatta, the ‘Wingfield Sculls’ (The English Amateur Championship), and the ‘London Cup’ at the Metropolitan Regatta. Wally won the Diamonds in 1910 (beating Rudolph Lucas of Mainzer Club, Germany, easily) and again in 1911 when he had a harder fight against Eric W. Powell. The Times newspaper called it ‘a splendid race and a fine exhibition of sculling’. In the Wingfield’s, Kinnear beat Robert C. Bourne in 1910, was unchallenged and sculled over in 1911 and beat E.D.P. Pinks in 1912. He won the London Cup in 1910 (beating R.C. Bourne) and again the following year. In those days each country could enter two crews or scullers in each event. 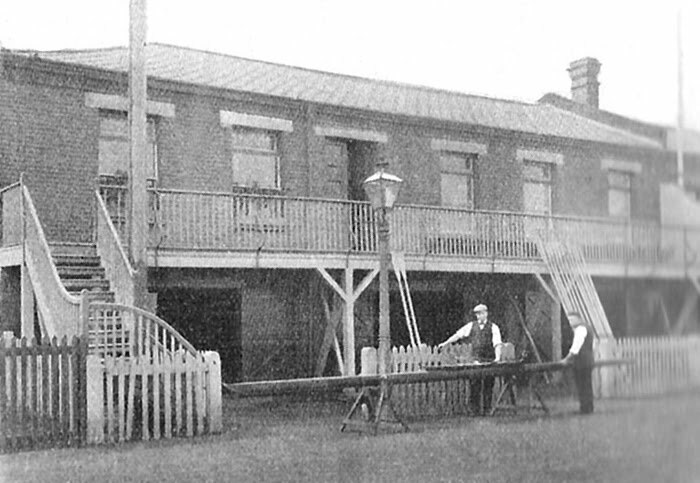 The Amateur Rowing Association chose Kinnear and A.G. McCulloch of Leander Club who had won the Diamonds in 1908 and came second in the Olympic Sculls in the same year. In the event, illness meant that McCulloch did not go to Stockholm. “I have already sent in an entry of two scullers, one of which will be W. Kinnear. The Swedish Committee are not asking for any names until July 1st. I will send W. Kinnear his entry forms early in June. In the event, Wally’s path to Olympic Gold was a fairly easy one. He beat Stahnke of Germany and then Veirman of Belgium. In the words of The Times, ‘there was no sculler who was able to make W.D. Kinnear extend himself’. This is not to take anything away from the Scotsman – great champions win before the final starts. Only four Britons have won world amateur single sculling titles: Blackstaffe of Vesta (1908 Olympics), Kinnear of Kensington (1912 Olympics), Beresford of Thames (1924 Olympics) and Haining of Auriol Kensington (1993, 1994, 1995 World Championships). Two stories illustrate the fact that WDK was a humble salesman mixing in a world of so called ‘gentlemen’. His great friend was a fanatical Kensington oarsman, George Newby, who was a much wealthier man. 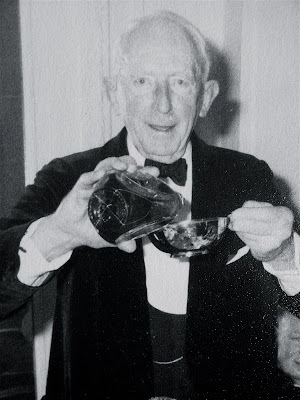 Wally was honoured when asked to be ‘best man’ at his wedding and so gave him the most valuable thing he owned – his 1910 Diamond Sculls ‘Pineapple Cup’ (ninety years later the Newby family donated the prized object to Auriol Kensington Rowing Club). As a prequel to that story, shortly after winning the Diamonds for the first time, Wally was asked by Debenhams if they could display the Cup in one of the store windows. In those days you did not refuse a ‘request’ from your employers and so he agreed. Many of the rowing establishment thought this was very vulgar and the story goes that Guy Nickalls snubbed him until he won the Olympic Sculls when he condescended to say ‘Well done, Kinnear’. “My father […] was an all round sportsman [... who] used to go down to Whitechapel to be ‘pummelled’ by pugilists in order to toughen himself up, and after vigorous outings on the Thames [...] used to bathe, winter and summer, in the [...] river [...] before setting off to work [...] His ambition was that I should win the Diamond Sculls at Henley, and in this ambition he was aided and abetted by my godfather, a crusty old Scot if there ever was one, who had himself won the Diamonds and the Stockholm Olympics (in A Traveller’s Life, Eric Newby, 1982). Looking at the picture above, taken when Wally was in his eighties, a twinkle in his eye and a bottle of whisky in his hand, I don’t think that I would use the epithet ‘crusty old Scot’. He looks like fun to me. This was, indeed, many great stories about one fine sculler – thank you, Tim! Will The Long Ships Rule The Screen? 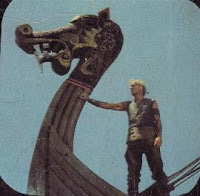 As I know that there are some fans of Frans G Bengtsson's The Long Ships among the readers of HTBS, I am happy to report about an upcoming film project based on Bengtsson's Viking Röde Orm. At the Cannes Film Festival a week ago, the Swedish film company Fladenfilm in Stockholm announced that they have managed to buy the film rights of Bengtsson's novel from Columbia Pictures, which bought the rights in the 1950s. However, the American film The Long Ships (read more about the movie here, but please be aware that the information given has several inaccuracies, especially, ironically, in the part called 'Historical Accuracy') was a terrible mishmash that was only loosely based on Bengtsson's novel. Not even stars like Richard Widmark and Sydney Poitier could save the movie. In a letter written to me in 2000, Michael Meyer, the English translator of Bengtsson's novel, summed up what many readers of The Long Ships think of the screen version: "The film, of course, was one of the worst that ever came out of Hollywood." Let us hope that Fladenfilm will do better. Their film, which is going to be shot in Sweden, Spain, England, and France, will be released in two parts, the first part at Christmas 2014, and the second at Christmas 2015. The director and the rest of the cast have not been selected at this point of time. Although, the hat that illustrates this little entry is a 'Boater', that is not what I have anymore. My nice, old vintage Boater was filched at a summer party many years ago, so now I have a rather regular straw hat. Though the Boat Race between Yale and Harvard is just around the corner, well, on Saturday 28 May to be more exact, there is not a lot of information about the races. At this point, only three things are certain for an outsider: the date (28 May), the location (the Thames River in New London, Connecticut), and the time (the first race starts at 3:00 p.m., the Varsity race at 4:45 p.m.). Not even on the crews’ websites can you find a lot of information: Yale & Harvard. Yale and Harvard are not making it easy for an outsider to get information about the crews or how to follow the races on Saturday. I just have to remember that I am not in England, where by now the larger newspapers had published long and detailed articles about how the crews are doing on the water, whom is actually rowing in the boats, etc. It’s not easy to be a fan of the American ‘Boat Race’. 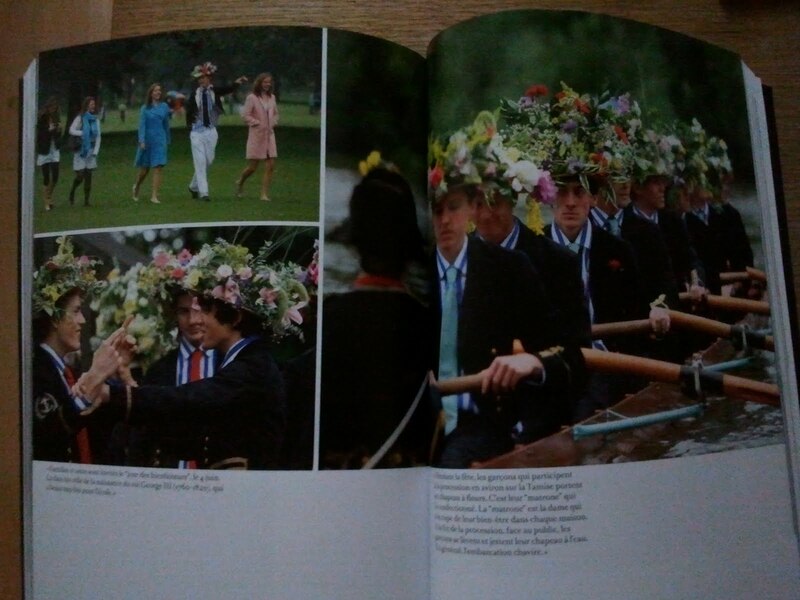 I much enjoyed Greg Denieffe’s piece Royal Visits Benefit Irish Rowing, which was posted yesterday on HTBS. The 1902 film featured was a brave effort but the ever reliable British Pathe website (which has over fifty years of cinema newsreels to view online) has some much better film of Dublin’s Metropolitan Regatta in the inter-war years, including some rare shots of women's crews. This claims to be the Metropolitan in 1926. It is a very nice film but I do not think it is the Met. If it is Newry in the north of Ireland it would be the river Clanrye. The 1931 Regatta is here and includes more lovely ladies. Similar shots of the 1932 Regatta are here. Nothing to do with the Metropolitan, but Pathe has a nice 1922 film of 'Dolhin Rowing Club', Dublin. I can find no reference to ‘Dolhin’, is this a misprint? Rowing, like rugby football, is an ‘All Ireland’ sport. 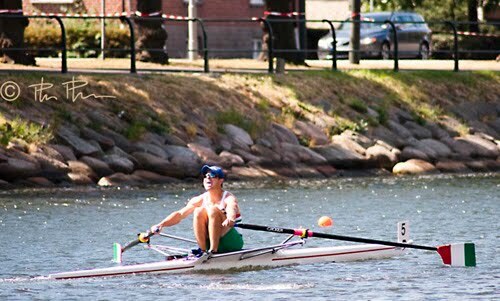 The Irish Amateur Rowing Union (IARU) includes the Irish Republic and Northern Ireland. Having said this, I get the impression that the Ulster (i.e. Northern Irish) Branch likes to assert itself. Like its sister organisations in Great Britain, the IRAU has re-branded itself ‘Irish Rowing’. The Scottish Amateur Rowing Association is now ‘Scottish Rowing’ and the Welsh Amateur Rowing Association is ‘Welsh Rowing’ or, in the Welsh language, ‘Rhwyfo Cymru’. You may suppose that this means that the governing body of the sport in England (formerly the original ‘Amateur Rowing Association’) is ‘English Rowing’. You would be wrong, it is ‘British Rowing’. What is wrong with that? ‘Britain’ is England and Wales. ‘Great Britain’ is England, Wales and Scotland. It must be admitted that ‘Britain’ is often used when, strictly speaking, ‘Great Britain’ would be correct. However this is not as bad as saying ‘England’ when (Great) Britain would be correct. A good illustration of unintentional English arrogance occurred when I and the rest of the Auriol Kensington Rowing Club from London went to the capital of Northern Ireland, Belfast, for the 5 km Head of the Lagan in 2000. Irish hospitality is famous, as our hosts at Belfast Rowing Club proved. We began to suspect that their generosity was a plot to fatten us up so we could barely row. Despite a freak snowstorm, a few cases of Guinness poisoning and one case of possible potato blight we managed to win a couple of things and were treated to a farewell dinner in the club house. A great evening was had by all and our Captain gave a generous speech of thanks. This went well until he began to lament the fact that British crews rarely come to Ireland ‘from the mainland’. Ireland, rightly, does not regard itself as an ‘island off Great Britain’ and the cries and heckles that followed were good natured but emphatic. An insight into the problems of Anglo-Irish relations. City of Derry Boating Club Senior Eight – Season 1911: Standing; T. C. O Sproule, G. E. (Glover) Austin, J. C. (Campbell) Austin, S Cunningham. Seated; A. E. S. (Bertie) Austin, J. L. Roulston, E. D. Dickey (coxswain), A.N. Other [may be A. Adams], E. Kellock. Greg Denieffe, one of HTBS's loyal readers, wrote this especially for us on this special day. Pictured above is a postcard of the 1911 City of Derry crew and the trophies won by them that year. 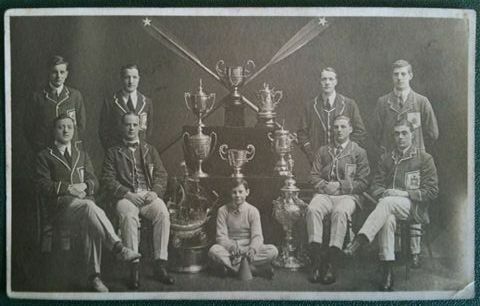 I purchased the postcard a few years ago as I recognized the crew and the Leander Trophy thanks to a photo of their 1912 crew in Michael Johnston’s book The Big Pot, The Story of the Irish Senior Rowing Championship 1912-1991 (1992). Firstly we are celebrating the centenary this year and secondly one of their victories was in the Coronation Cup at Cork Regatta. In 1911, King George V came to the throne and also visited Ireland becoming the last British monarch to set foot in Dublin for 100 years. His granddaughter Queen Elizabeth II will follow in his footsteps today, on 17th May 2011. His coronation took place in London on 22nd June 1911 and the visit to Ireland was between 8th and 12th July. The postcard has a divided back but no publisher’s name. It may have been a private production by the club but there is no indication of who they are or the year of print. However it can easily be dated to 1911 owing to the inclusion of the Leander Trophy (bottom left) and the Coronation Cup (bottom right) both won by City of Derry at Cork Regatta that year. According to T. F. Hall, in his History of Boat-Racing in Ireland (1937) the most important events of the 1911 Irish rowing season were the races for the King’s Cup at Dublin Metropolitan Regatta: Ringsend on the lower Liffey and the Coronation Cup at Cork: raced along the Marina stretch of the river Lee. Both trophies were presented to Irish rowing to commemorate the accession and were for senior eights. The King’s Cup was contested by five crews: Dublin University Boat Club, Neptune Rowing Club, Newry Rowing Club, City of Derry Boating Club and Dolphin Rowing Club. D.U.B.C and Derry met in the final and after a fine race in which Derry led to halfway, D.U.B.C. [also known as Trinity College, Dublin] gradually closed up and went on to win by a length. In 1898, D.U.B.C. was the first club to leave the crowded Lower Liffey and venture up stream to the calmer non tidal waters at Islandbridge. 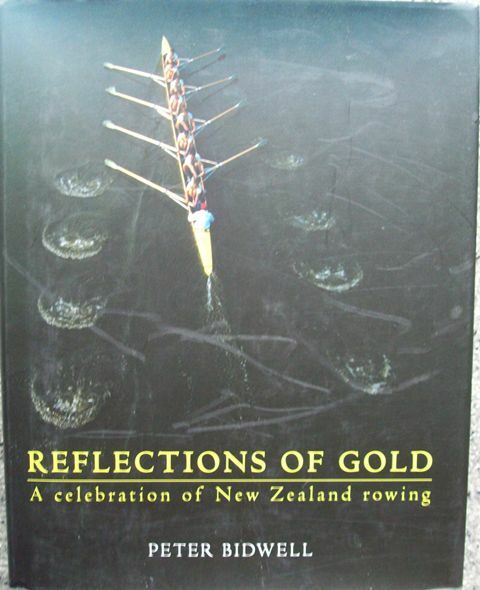 Raymond Blake in his wonderful book In Black and White on the History of Rowing at Trinity College, Dublin (1991), notes they had not competed at the Metropolitan Regatta since they had moved and instituted their own Trinity Regatta. It was only the prospect of the King’s Cup, the fact that ‘Metro’ was being held during the royal visit and the urgings of the Lord Lieutenant that enticed them back in 1911. A fortnight later, four crews, Derry, D.U.B.C., Neptune and Shandon Boat Club lined up for the Coronation Cup. Derry led Neptune early on with D.U.B.C and Shandon level half a length behind. D.U.B.C outraced Neptune but could not catch Derry who won by three lengths. 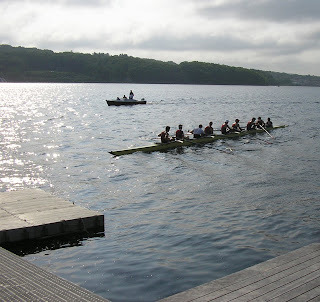 Derry completed the senior eight’s double by beating Cappoquin Rowing Club, Neptune and Shandon in the ‘Leander’. The Leander Trophy was first raced for at the Cork Regatta in 1904. It was presented to the Cork Regatta Committee by the English crews who participated in the International Cup in 1902 in appreciation of the hospitality extended to them by the local residents during their stay in Cork. As they were all members of the College Boat Clubs at Oxford and Cambridge the presentation was made through Leander Club. In celebration of the Coronation of King Edward VII and the Cork International Exhibition of 1902 a 3½ ft. trophy valued at £250, which had been paid for by public subscription and presented by Lord O’Brien, the Lord Chief Justice of Ireland for competition at Cork Regatta. 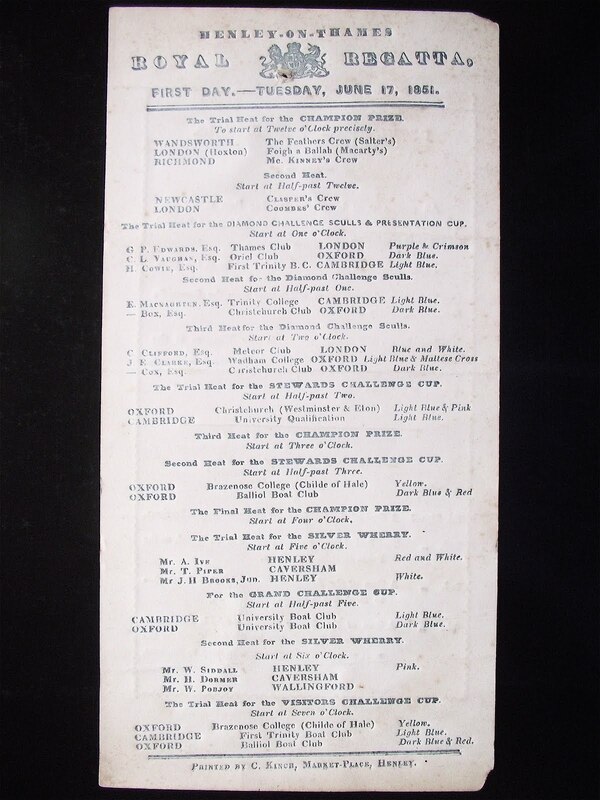 The top Irish crews were challenged by Leander Club; Emmanuel College, Cambridge; University College, Oxford and Magdalen College, Oxford as well as Berliner Ruder Club - Leander defeating the Germans in the final. Following is a short clip of the final on YouTube. The Cork Regatta Committee tried to repeat the success of 1902 the following year and another fine trophy was put up for international competition. Despite their best efforts only Leander came from England and fresh from their success in the Grand Challenge Cup at Henley, easily beat the local crews including the winners of that year’s Thames Cup, Dublin University B. C.
Both of the trophies won by Leander are on display in their Club House and you will find pictures of them and the ‘Leander Trophy’ on page 85 of The Brilliants, A History of the Leander Club (1997) by Richard Burnell and Geoffrey Page. Thank you, Greg, for a most entertaining and enlightening article! Westminster School Boat Club. Seen in this photograph is OUBC coach Sean Bowden. Here continues Tim Koch’s third and final part of his story about The Putney Embankment – London’s Boathouse Row. 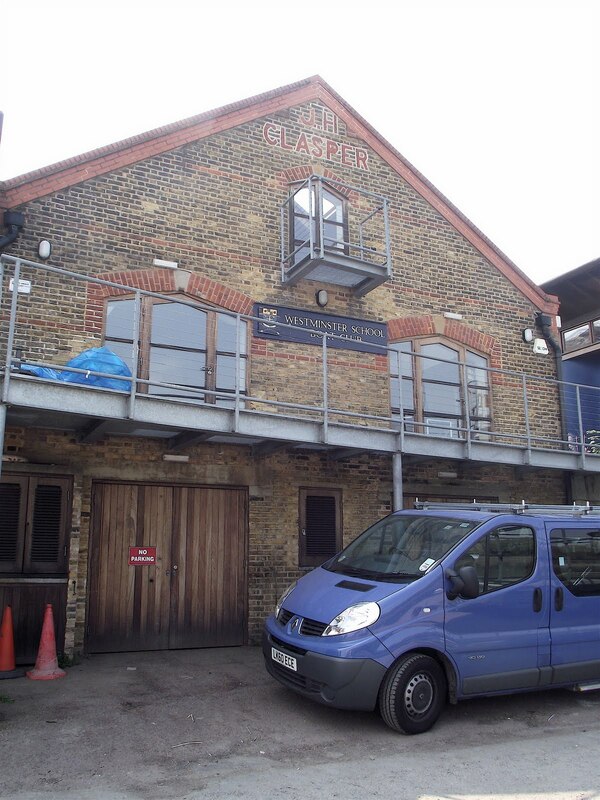 Vesta RC had been formed in 1871 and was initially based at the Feathers Boathouse on the River Wandle in south London. By 1875 it had moved to the Unity Boat House on the Putney Embankment (run by the famous rowing and boatbuilding Phelps family for many years). 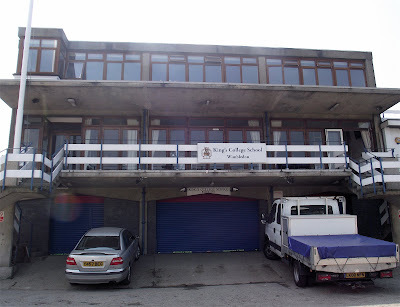 The Unity is now Ranelagh Sailing Club, situated between Westminster School BC and the building that Vesta erected as its boathouse in 1890 and which still serves it today. The only Victorian boathouse not yet mentioned that still stands on the Embankment started life slightly differently. 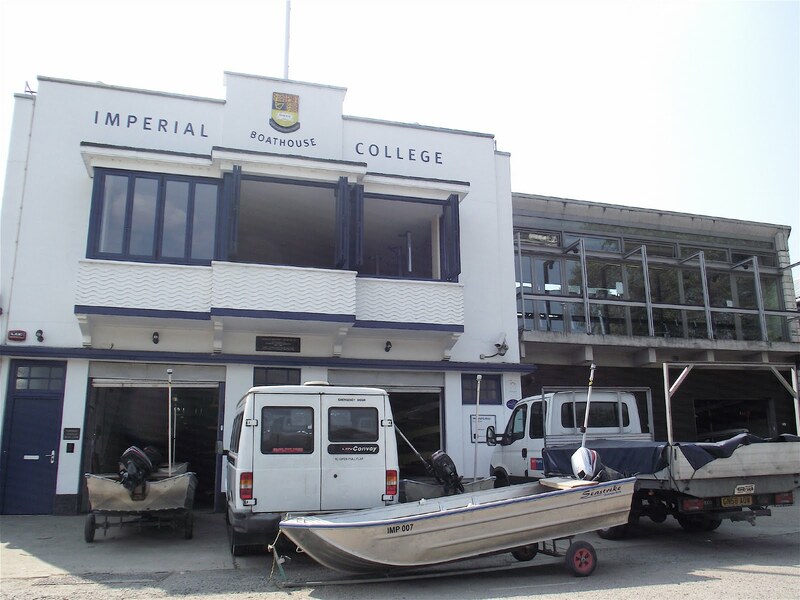 What is now Westminster School Boat Club was erected by the boat builder, J.H. Clasper, I think in the 1880s. John Hawks Clasper (1835-1908) was the son of the famous and innovative Newcastle boat builder, oarsman and coach, Harry Clasper (1812-1870). John moved south in the late 1860s and by the 1870s was building boats in Wandsworth (just upriver from Putney) and in Oxford. Many of the boats used in the Oxford-Cambridge Boat Race in this period were made by him. The first reference that I have of him as ‘Clasper of Putney’ is 1882 when he ‘steered’ Payne in the Wingfield Sculls from a following boat. 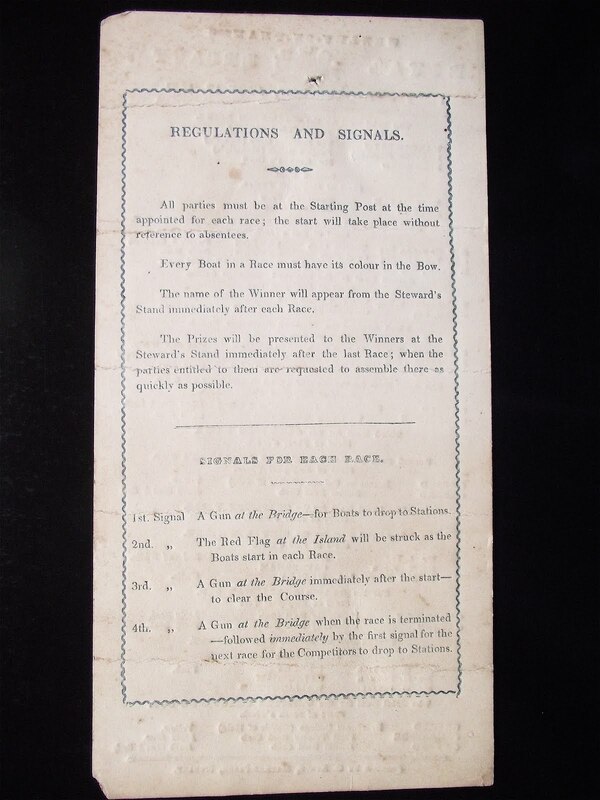 Between 1887 and 1897, ‘Clasper of Putney’ again built many of the craft used in the University Boat Race. 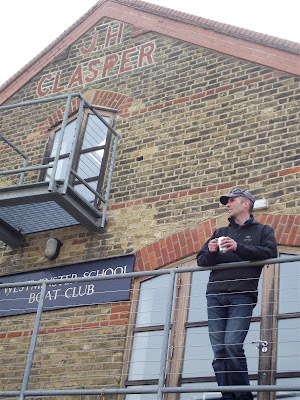 The original building has been thoughtfully and ‘lightly’ adapted for modern use by WSBC and the name ‘JH Clasper’ is still nicely picked out in red brick on the gable end (see above and on top). The modern extension is not unattractive and it allows the original and better part of the boathouse to dominate. Sadly, a small terrace of Victorian houses had to be demolished to make way for it. While accepting that a rowing club must be a functional place and not (in the words of the late Peter Coni) ‘a sporting slum’, I find it hard to be positive about the architecture of Kings College School (built for Barclays Bank RC), HSBC (since 1992 the name for the Midland Bank, the full name of the ‘Hong Kong and Shanghai Banking Corporation’ is never used) and Dulwich College (built for the NatWest Bank RC). The only building with some character in this group is that of Crabtree BC (built for Lensbury RC, a club for Shell Oil and British Petroleum employees). I find it difficult to date but its nice external spiral staircase suggests that it may be older than its three neighbours to the west. The architecturally not so attractive Kings College Boathouse. That ‘use’ is rowing. Long may it continue! The Putney Embankment – London’s ‘Boathouse Row’, Part 1. The Putney Embankment – London’s ‘Boathouse Row’, Part 2. 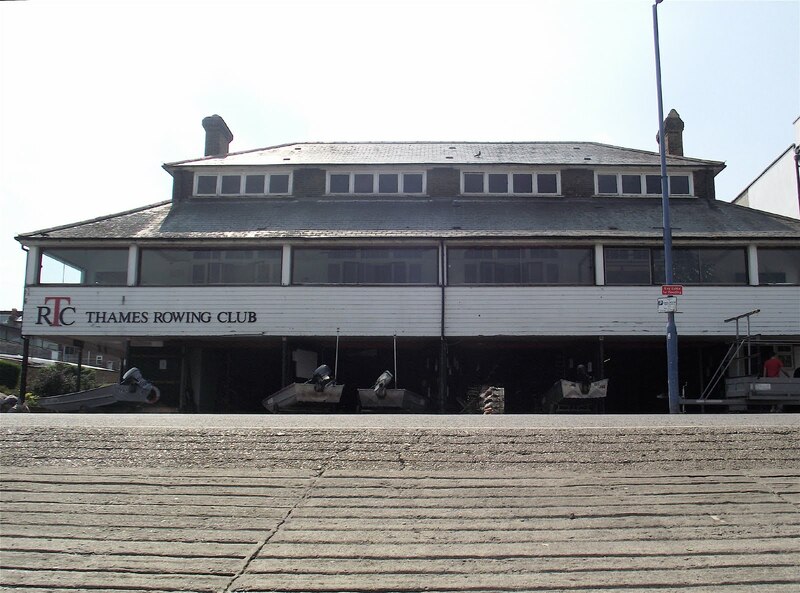 Here continues Tim Koch’s article on the London’s 'Boathouse Row'. 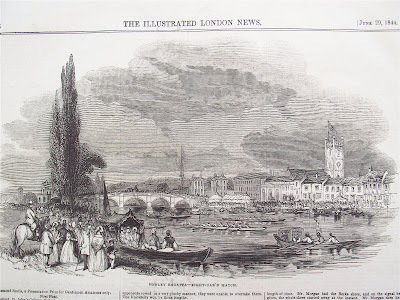 A final ‘selling point’ (were one needed) was that Putney was at one end of the ‘Championship Course’, a ‘fair’ stretch of a winding river to race on and which had been used for the Oxford - Cambridge Boat Race and professional sculling matches for many years. A map of 1871 is here. ('Dung Wharf' now houses luxury apartments and has had a name change). 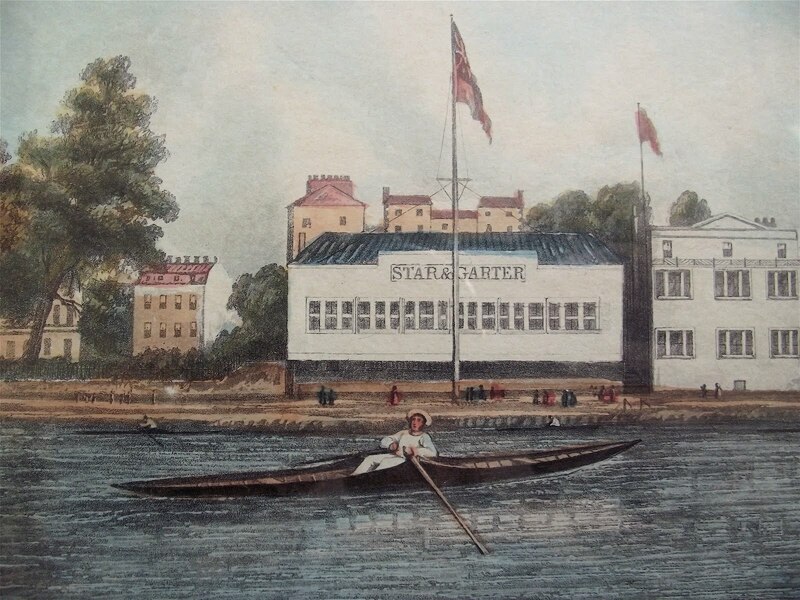 There are plans to replace the ‘simple’ modern balcony with a copy of the original ‘ornate’ one shown here and here (with Leander Club on the right). The ‘1900’ date given is incorrect, the picture was taken before the road of 1887 was put down. 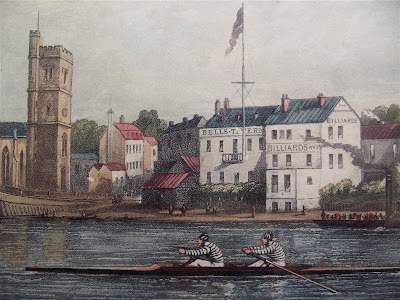 In 1860, four years after London RC established themselves at Putney, they were joined by Leander Club, also escaping from the horrors of central London rowing. Initially operating out of a tent, in 1866 they built a more permanent structure to the right of LRC. The centre of its activities moved to Henley on Thames after they erected a boathouse there in 1897 but Leander retained a Putney base until 1961. Today, Kings College School BC and (I think) HSBC RC stand on the site. The third and final installment will continue tomorrow! In three installments, HTBS’s Tim Koch tells the story of the rowing clubs along the Putney Embankment, or what Tim calls ‘London’s Boathouse Row’. The Putney Embankment is west of Putney Bridge on the south or ‘Surrey’ bank of the Thames. ‘The Embankment’ is the British equivalent of Philadelphia’s ‘Boathouse Row’. 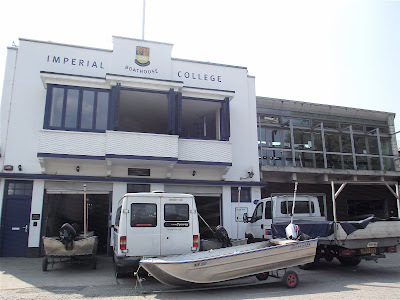 Listed in order from west to east, it is home to the London Rowing Club, Kings College School Boat Club, HSBC RC, Dulwich College BC, Crabtree BC, Westminster School BC, Vesta RC, Thames RC, and Imperial College BC. There are also three buildings with historic boat building connections. Originally these were Clasper’s, Searle’s and Norris’s and I will write about these at another time. An interactive 360 degree view of the Embankment can be found here. The hamlet of Putney had boatmen operating a ferry connecting it to the north (‘Middlesex’) bank since at least 1210 when it was recorded that King John’s horses were transported across the river from Fulham. There was great consternation among the Watermen when the first bridge was opened in 1729. "The Embankment itself [...] was originally an unimproved strip of foreshore, backed by common pasture and the grounds of large houses along the Lower Richmond Road. (It) was used mostly by the local watermen to shore their boats until a towpath was created in the late eighteenth century. It has always been a location for public houses from as early as the Middle Ages and of commercial boatmen and boat builders from the seventeenth onwards [...] The Embankment was made up as a road in 1887 but boathouses were built here before this date. 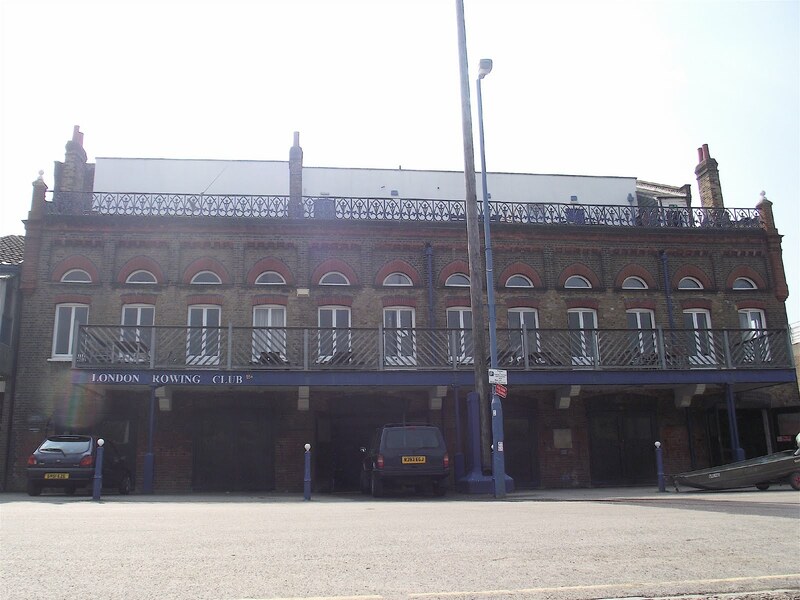 The most notable today are the former Searle’s Yard […], the London Rowing Club and Thames Rowing Club buildings. All have been altered in the intervening years but are all immediately recognisable today from historic photographs. All three are proposed for the local (conservation) list for their largely unaltered exteriors and importance in the area’s unique history." 1851 Funny by the Star and Garter pub. 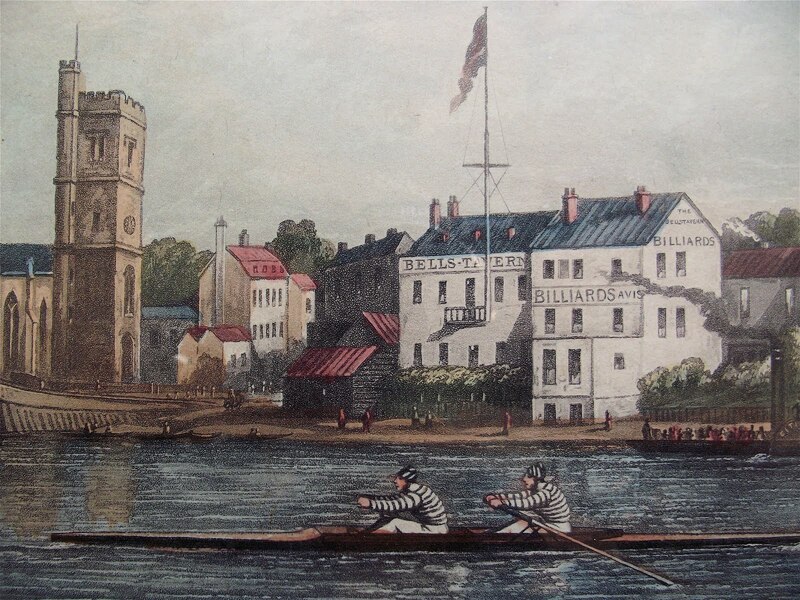 Putney's place as the centre of British amateur rowing (outside of Oxford and Cambridge Universities) for over one hundred years started in 1856 with the formation of the London Rowing Club, LRC. Initially it was based at the Star and Garter pub on the Embankment with its boats kept at Searle’s Yard (Searle’s became, at various and sometime overlapping times, Simmons, Aylings, Boyers & Phelps and is today Chas Newens Marine). By 1859 LRC had purchased the site of the present boathouse, Finches Field, and built a rough shed to store the boats. The current boathouse dates from 1871 and was enlarged to its present size by 1906. The rowing train will leave Waterloo (Railway Station) at 6.34 p.m. and crews will be formed at 7.00 p.m.
1851 outrigger pair by St. Mary's Church. 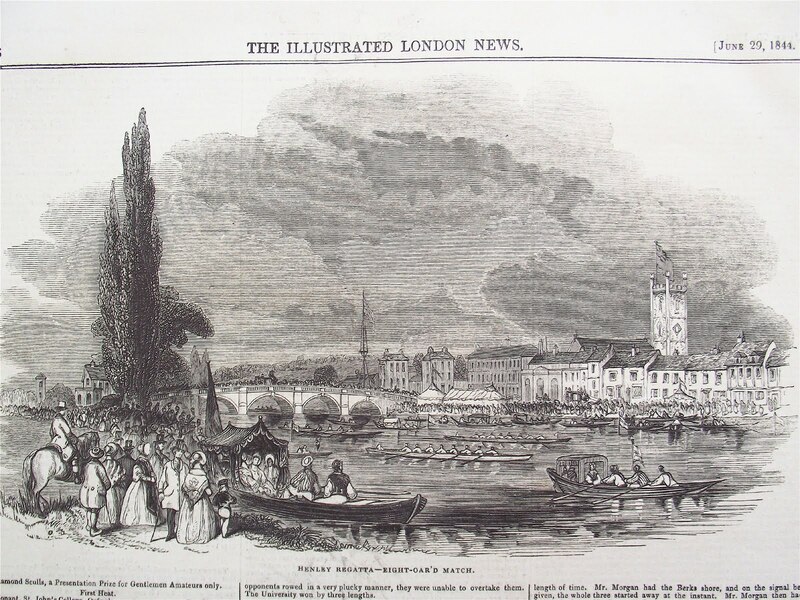 Some delightful evidence that Putney was an established centre of amateur rowing by the late 1840s is given by four engravings published on 25th January 1851 ‘by Messrs. Fores at their Sporting and Finest Print Repository and Frame Manufactory, 41 Piccadilly’ showing various types of rowing boats along the Embankment. My favourites show an ‘outrigged pair’ by St Mary’s Church (seen above) and the old bridge and a ‘Funny’ (inrigged scull) by the ‘Star and Garter’. Part 2 will continue tomorrow! Tomorrow, Saturday, 14 of May, it is time for the 2nd annual Gant Boat Race on Djurgårdsbrunnsviken in Stockholm. As the name of the races says, the clothing company Gant is sponsoring these races between the Swedish "prep schools" Sigtuna and Lundsberg. The regatta area opens at 11 a.m. and the opening ceremony is at 12:30 p.m., and the first race starts at 1 p.m.
Last year's races seem to have been very successful and I do think it is great that the sport of rowing is getting attention in Sweden; I even believe that the Swedish Rowing Association gave the organisers of the regatta a helping hand when it came to safety on the water, etc. Reading the clothing company's special web site about the rowing races - it's in Swedish, but click here if you would like to have a look - it is embarrassing to read the "Swinglish", because not only is the company unaware what the boat types are called in Swedish, it's a mismatch in English, too - what on earth is, for example, "quad sweep"? I don't know, but I would have loved to be in Stockholm to see this boat class! It seems Blogger has been doing some maintenance work as it was impossible to post entries yesterday and earlier today. My apologies for the inconvenience, but I will try to post some entries later today and during the weekend. Albino Dei Rossi rowing Pope John Paul II in 1985. Last Sunday, Pope Benedict XVI was visiting Venice and was rowed on the Grand Canal in a gondola. Prior to his outing, there was an argument within the gondolier community which gondoliers was actually going to take him around. It seems to be a great honour to row the Pope in your gondola. One gondolier was out of question by veritable being a woman – one of 425 gondoliers in Venice. So, 424 more to go – whom to pick? Eventually, Pope Benedict XVI picked two pairs, the brothers Bruno and Francesco Dei Rossi, whose father Albino rowed the late Pope John Paul II during his visit to Venice in 1985. 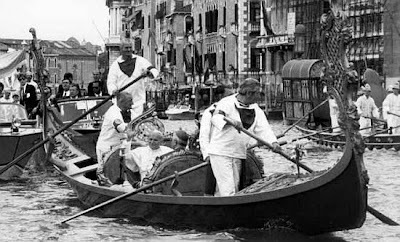 The other two were Gianpaolo D’Este and Igor Vignotto, are two well-known gondoliers in the Venice regattas. Read an article about the row to row the Pope here. Here is a site that has the text of Lehman’s book The Complete Oarsman. It is in a number of sections but each is easy to get. They can be copied into a word document but would take a bit of formatting to turn it into something printable. I downloaded just some of it - history and great races - but the technical stuff may be of interest to some. The other website I sent you earlier also had the book but the text file was hopeless as it was very poorly done. Here is The Complete Oarsman. Here follows the second and final part of “Cambridge v. Harvard 1906”. 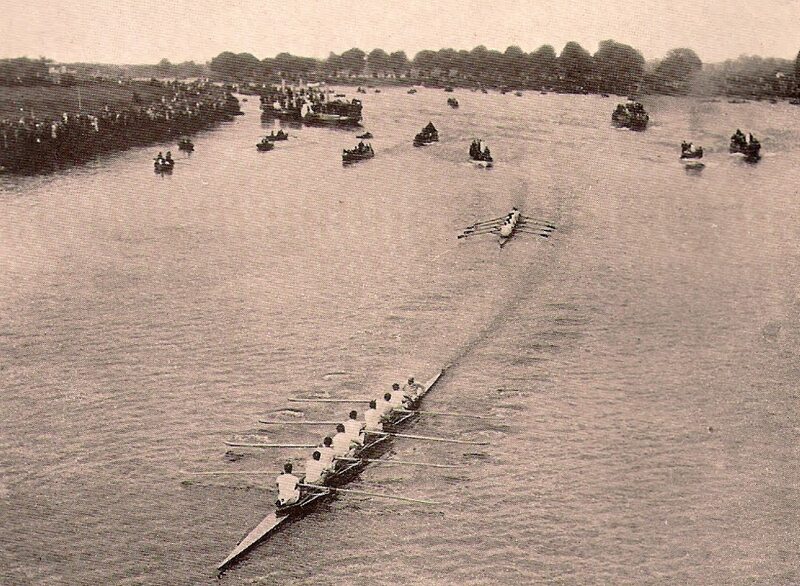 At Bourne End on 6 August, 1906, both Cambridge and Harvard began their practice for the big race on the Thames on 8 September. On 23 August both crews moved to Putney. The first time Harvard rowed the full course, on 1 September, they finished almost on record time, 18 minutes, 50 seconds, which was only 5 seconds longer than Oxford’s record time in 1893. Harvard’s old coach and great rowing advocate, Robert ‘Bob’ F. Herrick, arrived to England some weeks after the crew had reached England. 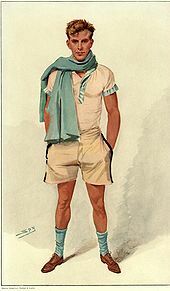 In his book Red Top – Reminiscences of Harvard Rowing (1948), Herrick’s writes: “The English opinion was on the whole rather favorable to the Harvard crew, but on the other hand Americans who had seen them for some little time were not at all confident”. On 8 September, at 4:30 p.m., the race started. 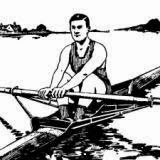 Rudy Lehmann, who was the race umpire, states in his The Complete Oarsman, “It was a brilliant unclouded day. 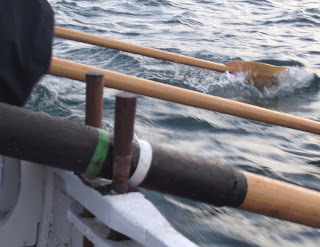 There was a slight breeze from the west, but scarcely sufficient to ruffle the surface of the water, except in Corney Reach and near the finish. The flood tide was not a very strong one, and as the wind was almost always on the quarter it was not possible to anticipate that record time would be accomplished.” Bob Herrick followed the race from the referee’s boat, “All along the course were tens of thousands of spectators who sat on the banks and the housetops,” he wrote. Cambridge started at a rate of 40 strokes to the minute, and Harvard at a much lesser rate. At the mile, the Americans were two and a half lengths behind, and Herrick claims that Harvard was beaten there and then. At Hammersmith Bridge, the light blues were four lengths ahead, and although Harvard put in a spurt now and then, which reduced Cambridge lead, the Englishmen’s victory was never in jeopardy. Cambridge paddled passed the finish line at 19 minutes 58 seconds. A view from Barnes Bridge, Cambridge in a comfortable lead over Harvard. 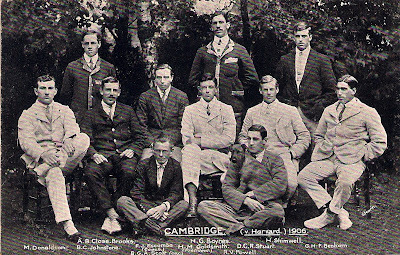 The Cambridge crew which met Harvard in a race on the River Thames on 8 September, 1906. Standing, from the left: A.B. Close-Brooks, H.G. 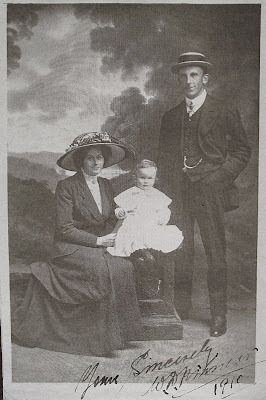 Baynes, and H. Shimwell (substitute); seated: M. Donaldson, B.C. Johnstone, F.J. Escombe (coach), H.M. Goldsmith, D.C.R. Stuart, and G.H.F. Benham; seated in front: B.G.A. Scott and R.V. Powell. The first international rowing competition between an English and American university was in 1869, when Harvard travelled to meet Oxford in a coxed four race on the championship course on the River Thames in London. The Atlantic cable had just opened so the American newspapers quickly received the reports about the crews training and, on the 27th of August, the race report. 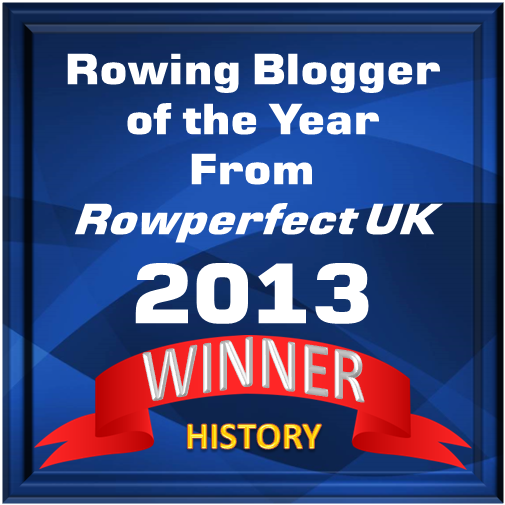 Rowing historian Bill Miller has written an article about the race, "The Great International Boat Race". It would take another 37 years before another international race between an American and an English university would take place. On 2 May, HTBS’s Tim Koch reported on the mishap he had found on Wikipedia about the English oarsman Eric Powell, who was a Cambridge Blue in 1906, 1907, and 1908. The first year Eric rowed for Cambridge, his two-year older brother, Ronald Powell (seen on the right), was also in the boat. Ronald had rowed in two previous light blue crews, in the winning 1904 crew and the losing 1905 crew. In 1906, the Cambridge boat was victorious again. 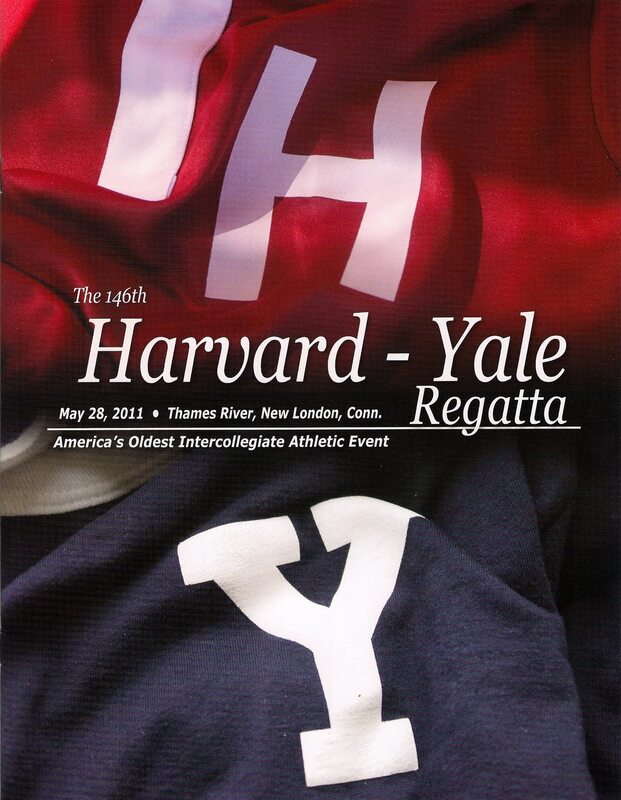 On 28 June that year Harvard won against Yale in a downstream race on Thames River in New London. Harvard was eager to match oarpower with the winner of the Oxford-Cambridge race, so without further delay, a ‘cable’ was sent to Francis Lee Higginson, an Harvard man, who had taken up an English summer house close to Bourne End, the residence of the famous English coach Rudy Lehmann. 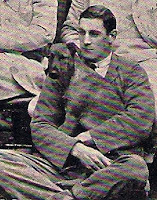 Higginson and Lehmann knew each other well, as Higginson had rowed for Harvard in 1898 when Lehmann was over in America, coaching the Harvard crew. On 15 July, 1906, Higginson looked up Lehmann to show him the message in which Harvard was challenging Cambridge for a match on the Thames in London. The Harvard crew stood ready to leave America as soon as the challenge had been accepted by Cambridge. 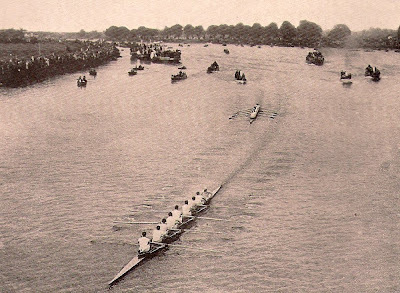 In his book The Complete Oarsman (1908), Rudy Lehmann writes that he hesitated as he was not sure that a representative Cambridge crew could be brought together as the crew has scattered all over after Henley. After consulting with Raymond Etherington-Smith and Claude Goldie, Lehmann decided to approach old Cambridge men to raise funds for several weeks of training. The subscription list eventually showed a total of £356 15s. 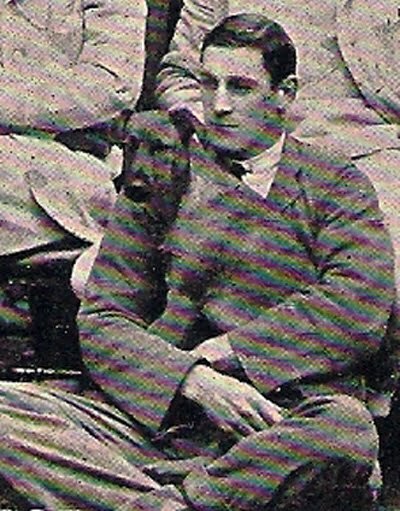 Lehmann and Henry Goldsmith, the Cambridge Boat Club president, also sent letters and telegrams to get the Cambridge crew together. At a meeting in London, a date was set for the race, 8 September, and as soon as a representative crew was pulled together H.M. Goldsmith, selected the coaches. His choices fell on Francis Escombe and Stanley Muttlebury. “Cambridge v. Harvard 1906” continues tomorrow! Anyone who bids regularly on eBay will occasionally experience winning a rare piece for a price far below what was expected, prompting surprise that no one else wanted what appears to be a desirable item. This happened to me two years ago when I won a programme from the first day of the 1851 Henley Royal Regatta for less than £10. Double click on the pictures to view them full size. It was crudely printed by C. Kinch, Market Place, Henley on stiff card and it measures 23 cm by 11 cm. 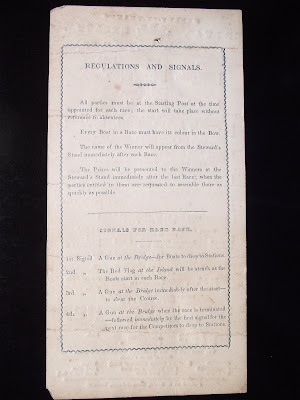 The front has the race programme for 17th June 1851 and the back gives the so called ‘regulations’ (two minor rules and two pieces of information on the prize-giving) and describes the gun and flag signals used to communicate in those pre-electronic days. In 2009 it was found by an antiquarian book dealer between the pages on an old tome, presumably serving as a long forgotten bookmark. 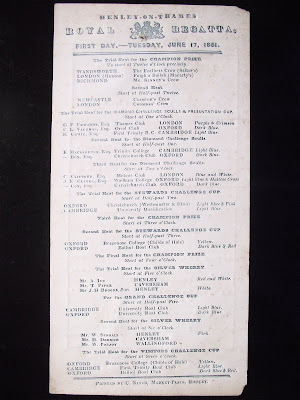 The first Henley, held in 1839, had just two events: a Town Challenge Cup for professionals (aka ‘The Champion Prize’, last held in 1884) and a Grand Challenge Cup for gentlemen amateurs. The ‘Town’ allowed both the deliberate clashing of boats and for Watermen to act as coxswains and had a money prize of £30. The ‘Grand’ did not allow any of these. Over the next few years the number of amateur events grew rapidly with the establishment of the Stewards’ for coxed fours in 1841, the Diamonds for single sculls in 1844, the Silver Wherry for scullers in 1845, the Ladies for (men’s) eights in 1845 and the Visitors’ for coxed fours in 1847. In the three heats for the Diamond Sculls, the winners who were to race each other (three abreast) the next day were Edwards of Thames, Mcnaghten of Trinity College, Cambridge and Clarke of Wadham College, Oxford. In the final Edwards won ‘easily’. Two heats of the Stewards’ Challenge Cup (for coxed fours in those days) saw ‘Cambridge University Qualification’ (crew members from St John’s, Sidney Sussex, Trinity and Caius Colleges) beat ‘Oxford, Christ Church (Eton and Westminster)’ in what the Times called ‘a splendid race, neither having any advantage for a long way up....’ In the second heat, ‘Brazenose Colege, Oxford (Childe of Hale Boat Club)’ rowed over. Cambridge won easily in the final on the 18th. In the first heat of the Silvery Wherry for Scullers, Ives of Henley ‘won easily’ and, in the second heat, Pobjoy of Wallingfod ‘won with the greatest of ease’. Ives repeated his easy win in the final the next day. I apologise if I have recalled Henley 1851 in too great a detail but the pleasure of holding a one hundred and sixty year old programme that was present at the event (and perhaps pinned up for all to see judging by the hole at the top) does not have to be explained to anyone who loves history, particularly the rich history of rowing. One day I will give the card to Henley Royal Regatta - but before that I intend to enjoy it for myself for a few more years yet.